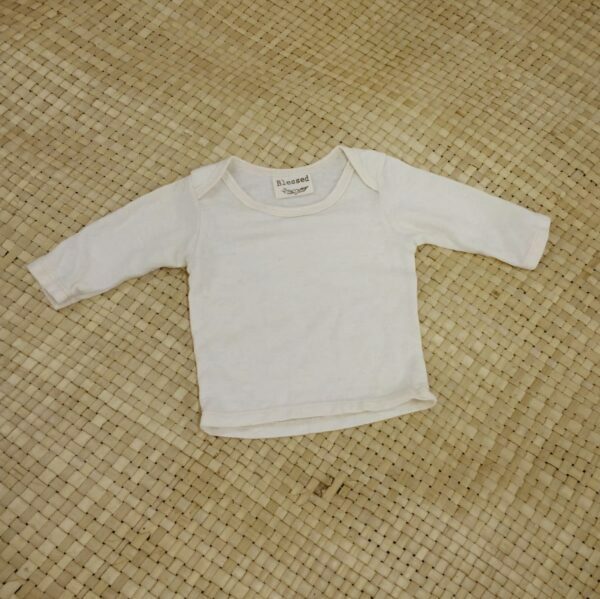 Our Hemp knit fabric is the natural and ideal choice for these gorgoues baby garments. Super soft, comfortable and highly durable, they will last many generations! This long-sleeve shirt can be worn alone or as an extra cosy undershirt in cooler weather. 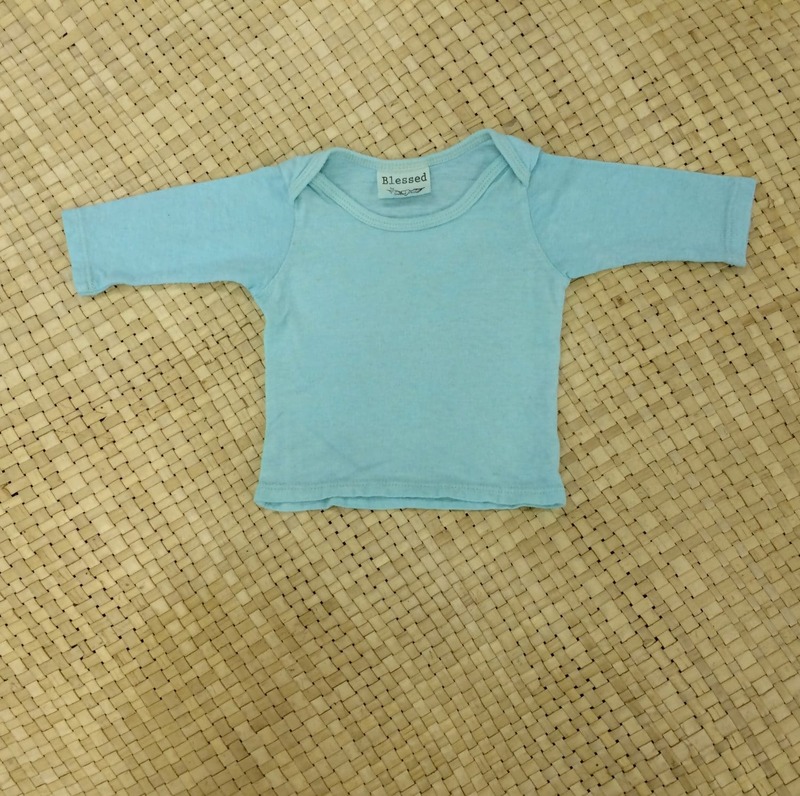 We’ve chosen gender-neutral custom shades and taken great care to ensure the fit and design will be effortlessly comfy and easy for dressing for both parent and baby. Part of the Sweet Skins Blessed Collection. 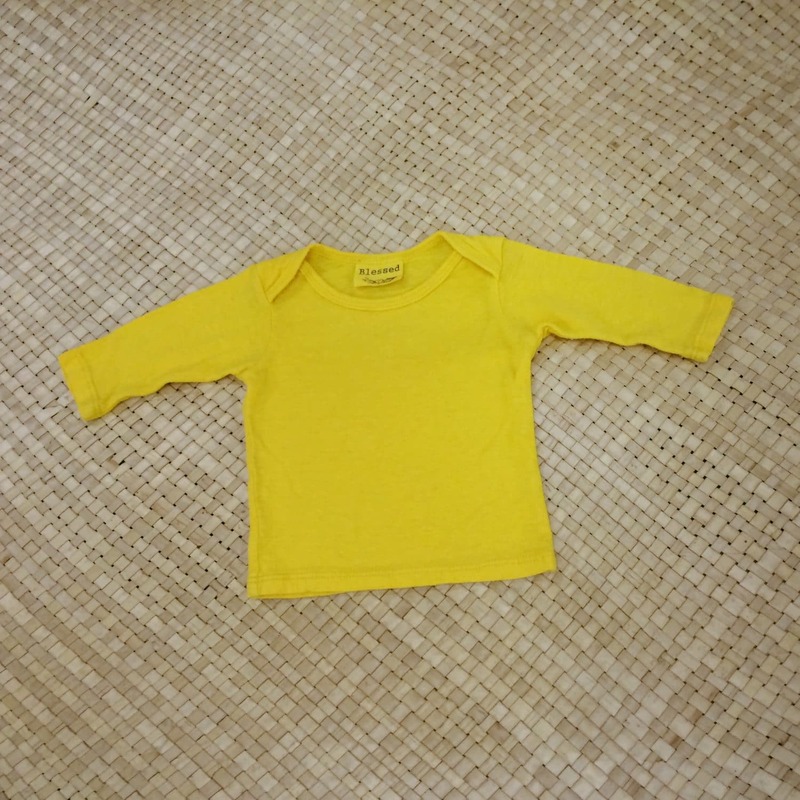 Made from light weight 55% hemp & 45% organic cotton jersey.